Going to have a tattoo, whether it is for the first time or one of many, is an exciting time. But before you sit down and watch the ink start flowing, there are a few things to consider, a few steps to take and a few do’s and don’ts. You should never drink alcohol before you have a tattoo. Despite that fact that no reputable or responsible tattoo artist would tattoo a person who was obviously under the influence of alcohol it is not a good idea for another reason. Alcohol thins the blood and having a tattoo with alcohol in your system will make you bleed more during the procedure. This in turn will push the ink going into your body out again and the result will be a tattoo that looks faded. As well as that being under the influence of alcohol may dull your senses and cause you to make a bad decision. You could end up with a tattoo you would not have even considered if you were sober. Going for a tattoo is one situation where Dutch courage from alcohol should not be used. Having something satisfying to eat before you have a tattoo will make you feel more comfortable. It is hard to relax if you are feeling hungry so eating beforehand is a really good idea, if you don’t have time for a meal then at least have a snack, it will raise your blood sugar level. 3) Do wear clothing that will allow the tattoo artist access to the area you have having tattooed. It is essential to wear clothing that will allow your tattoo artists easy access to the area you are having a tattooed. Although tattoo artists do their best not to get ink onto your clothes sometimes it does happens so it is also a good idea to wear something that you don’t mind getting ink on. Comfortable clothes are a good idea, especially if you are having a large tattoo or intricate tattoo that involves spending a long time in the tattoo parlor. Having a friend with you while you have a tattoo will help you to relax and sharing the experience can be fun. However do not go along with a crowd of friends as this can be very distracting for the tattoo artists and the space at the tattoo parlor may be limited. It is a good idea to get a really good night’s sleep before you have a tattoo. 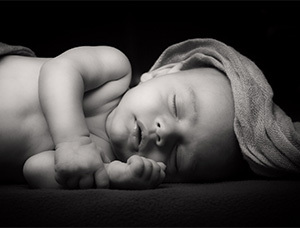 It will make you feel more relaxed and the lack of sleep will make you nervous which will make your muscles tense up. Avoid the sun before having a tattoo. The sun can cause rashes on the skin and sunburn is painful. Being in the sun also makes you sweat. Being cool will decrease the bleeding you will experience during the tattoo. Even over the counter pain killers will cause an increase in bleeding. Some people take an aspirin every day to thin their blood, but it is not advisable if you are having a tattoo, as with alcohol, it will thin your blood and increase bleeding that takes the tattoo ink out with it. Any medication that affects your skin will also affect your tattoo. Accutane is a form of vitamin C used to treat nodular acne. Dermatologists tend to recommend waiting at least six months after ceasing this medication before having any procedure that will break the skin as it can cause scarring. If you take that sort of medication it is better to wait until you no longer use it before having a tattoo. Illegal drugs such as cocaine and meth will cause issues with bleeding as well as with clients keeping still while they are having the tattoo. Marijuana while not causing the blood to thin, will have little or no effect once the needle touches the skin and some people have reported that smoking marijuana prior to having a tattoo increases the pain. Coffee actually makes you nervous and decreases your ability to handle pain so avoiding coffee, or at least reducing your intake, prior to having a tattoo is a good idea. Different people experience different pain levels on different parts of their body when they are having a tattoo. It is a good idea to discuss the area you want tattooed with your tattoo artist prior to having your tattoo to avoid the common areas that are least comfortable to tattoo if it is your first time. There are some other considerations you need to think about when having your tattoo. The health risks associated with the tattoo and post tattoo care. You should always have a tattoo in an area that has optimal hygienic conditions. The needles the tattoo artist uses should always be disposable otherwise you are facing the risk of serious infections and diseases such as hepatitis C, tetanus, AIDS, leprosy and skin infections. Although it is rare some people experience allergic reactions to the dyes used, especially in some types of reds and greens that contain metallic elements. Reactions can include itching, discharge and in extremely rare cases anaphylactic shock. Post tattoo it is advisable to keep the area covered with a bandage for around three hours. After this it is recommended that you let the air get to the tattooed area and cover it several times a day with a soothing and protective ointment or Bepanthenol, although petroleum jelly or a cream type moisturizer is often used. The tattoo should be washed daily and protected from sunlight. Do not remove any scabs that form on the tattoo. Do not use alcohol on your tattoo or scratch or pick at it. Avoid swimming, saunas, steam baths or soaking in a bathtub for two weeks after having a tattoo and ensure any clothing that will touch the area is clean and soft. Your tattoo should be fully healed between twenty and thirty days after you have it. The long life of your tattoo depends upon the care you give it during the critical first few days and weeks. Do not be surprised if the colours of your tattoo fade slightly during the healing process, don’t worry, the colours will return once the area has healed completely. One of the most important considerations when you are thinking about getting a tattoo is finding a reputable tattoo studio. One of the most important elements of any tattoo studio should be hygiene. You should not even consider having a tattoo done in any studio that does not employ the correct health and hygiene standards and this must include the use of an autoclave, a piece of equipment that is used to sterilize all of the equipment used when having a tattoo. The tattoo artists must be happy open the packets of sharp objects or needles in front of you to prove they are sterile. He or she must also use a fresh pair of latex gloves during each procedure. If the studio also offers piercing services these should be carried out in a separate area from the tattoo area. The tattoo artist must be qualified and experienced, the health risks associated with having a tattoo are greatly increased if you attempt to tattoo yourself or have a tattoo from a non-professional. Another important consideration is the ink. 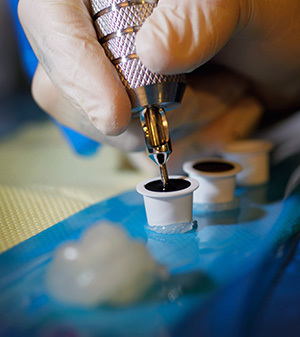 The ink used in tattooing must be taken from the container and then put into a single use cup that must be disposed of once the tattoo is complete. Residual ink should never be put back into the main container. When you choose a tattoo artist make sure you ask plenty of questions such as how long he or she has been tattooing. Ask to look at photographs of their previous work. Ensure that they understand exactly what you want and see if you like the style of their tattoos before agreeing to anything. Ask if it is possible to watch them tattooing another client before you book, this way you can be on the lookout for hygiene standards and client care. If this is not possible ask if you can speak to previous clients or ask to read the comments book if they have one. Ensure you ask your tattoo artists for advice on tattoo aftercare and if at any time you do not feel comfortable leave. Check out several different tattoo studios before making your decision. 13) Can an X-ray affect my tattoo? If you need an X-ray then don’t worry, regular X-rays to not have any effect on tattoos. However, if you need a scan that involves magnetic resonance then this will have an effect. This kind of imaging can heat up the ink in a tattoo and that can result in skin burning. The best way to avoid this if you need this kind of scan is to cover the tattoo with a cold wet cloth. One further consideration is that if you having an MRI scan the tattoo can affect the image so ensure to tell your physician that you have a tattoo if it is in the area to be scanned. Do go to the doctor if you think you have an infection. Ointments provided by tattoo parlors can't treat infections; they can only help to prevent them. While your tattoo artist can advice you on how to take care of your tattoo and the best measures you can take to prevent an infection, if you do find yourself with an infection it is only a doctor who can treat it. Do not hesitate to seek medical assistance if you find you have any skin infection or other complication resulting from a tattoo.